8GB Nexus 4 sold out and not coming back | Android Blast! 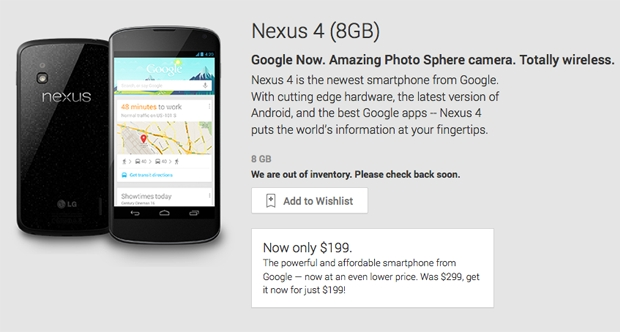 The 8GB version of the Google Nexus 4 is sold out on the Google Play Store, and it won't be coming back. Most people take this as a sign that the Nexus 5 is obviously on the way. If you're still looking for a Nexus 4 you can purchase the 16GB version, but the 8GB version is gone forever. Although the Nexus 5 has not been announced, the next version of Android Kit Kat has, and the Nexus 4 has been out for nearly a year now. All signs point to a Nexus 5 announcement sometime soon.